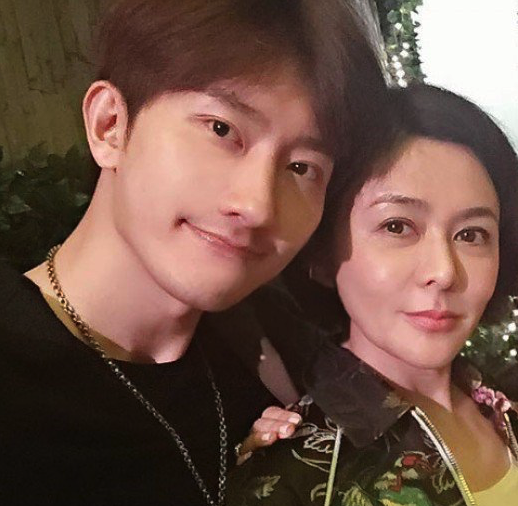 There has been no confirmation whether Super Junior M's Zhoumi is dating Hongkong actress Rosamund Kwan. In a statement released by the artist, he even denied dating the 54-year-old actress. However, the Super Junior M admitted he feels like having a lot of girlfriends because of supportive female fans. In the Chinese micro-blogging site Weibo, Zhoumi posted last Dec. 29, 2016, "I have really many girlfriends. Thank you all so much for loving me," Soompi reported. In his post was also a photo of him seated with some of his fans. The rumor between him and Kwan began when he started posting photos of them together on Instagram. The two supposedly began dating when the pair were introduced by a common friend, with Zhoumi even offering Kwan some support when the latter recently split with his partner, All Kpop reported. The report even added Zhoumi attended the Hongkong star's birthday party and went on some dates together. While others see this closeness as some sort of likeness or fondness with each other, the artists themselves may be treating each other differently. In several of his Instagram posts, Zhoumi has been consistent on using the word "sister" whenever he posts photos with Kwan. Representatives of both parties also denied the allegation, with Kwan's rep even saying the rumors are just lies and fabrication. For Zhoumi's part, SM Entertainment also denied the dating rumors saying "It is not true." Super Junior M is a Chinese-South Korean boy band formed by SM Entertainment. The group debuted in 2008 with members Han Geng, Donghae, Siwon, Ryeowook and Kyuhyun. After some time, Zhoumi and Henry were added to the group. Super Junior M is considered as subgroup of the popular South Korean band Super Junior. The group once suffered a disbandment in 2009 after leader Han Geng filed a lawsuit against SM Entertainment. He was later replaced by Eunhyuk and Sungmin, who are Super Junior members themselves. The Chinese-South Korean band released singles like "Super Girl," "Swing," "Perfection," among others. Watch Super Junior M's most successful single, "Super Girl" in the video below.